Originally posted June 14, 2018. 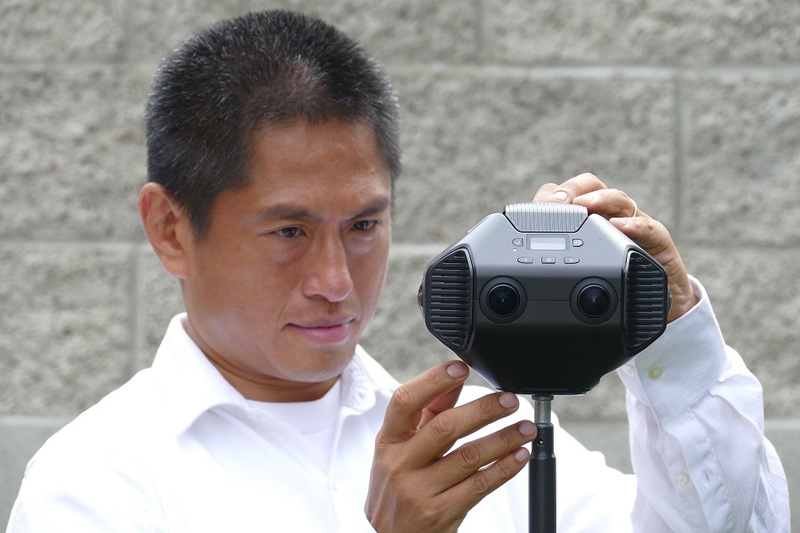 Detu is a company that has produced several 360 cameras, beginning with the hemispherical Detu Sphere, then the higher resolution Sphere S. It was later followed by the Detu F4, one of the first 6K 360 cameras. At CES 2017, they announced two cameras: the Detu Twin and the Detu F4 Plus (at that time known as F4 Pro), currently one of the most affordable 8K 360 cameras at $2599. 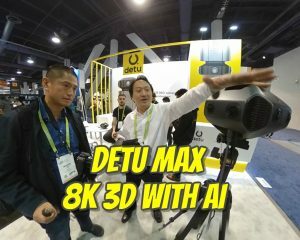 Then at CES 2018, Detu launched their new flagship 360 camera, the Detu MAX with 8K 3D 360 video and an embedded AI chip. Here’s a quick preview of the Detu Max, its features and capabilities. Detu Max’s most important feature is its stitching. All 360 cameras have a minimum stitching distance. Objects that are nearer to the camera than the minimum stitching distance will have very significant stitching errors. 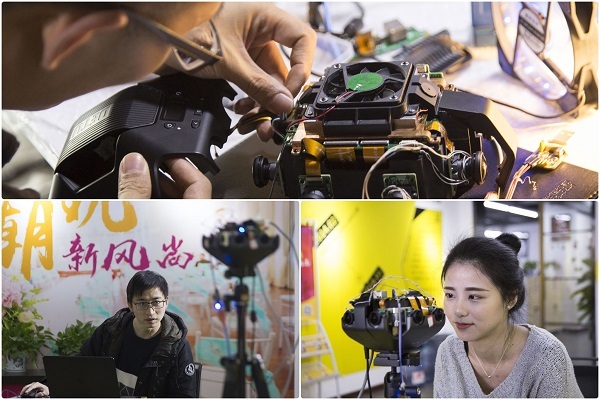 For 3D 360 cameras, this is an even more challenging issue because they have to have sufficient distance between the lenses to have a noticeable a 3D effect, but at the same time, the larger the distance between the cameras, the greater the potential for parallax stitching errors. For this reason, 3D 360 cameras usually have large minimum stitching distances. For example, the minimum distance for the Insta360 Pro is around 5 feet. You can check out the sample videos below to see more examples that convincingly demonstrate its remarkable minimum stitching distance. To me, this impossibly short minimum stitching distance is Detu Max’s killer feature. No other professional 360 camera can be used at such small distances. Practically speaking, the threshold will be the minimum distance for stereo (with a 3D image, if you are too close to the object, it will feel uncomfortable, as if you are viewing something cross-eyed). But you’ll be able to use the Detu Max in almost any situation (within reason). And if you switch to 2D 360 mode, there are even more possibilities. Detu Max has other features such as HDR mode, and supports RAW and Log mode. It also has livestreaming in 2D or 3D 360. Update: Detu Max’s HDR works through processing and is not a multiple exposure HDR. Detu MAX also has an AI chip embedded in it. The chip gives it additional capabilities such as object-tracking and face recognition. Detu’s representative also showed me a few other things that they are working on for the Max. I saw demos of depth mapping and 6DOF (I assume it was simulated). I also saw that they are planning to generate 3D models, with floorplans and dollhouse modes. It looked similar to Matterport or Cupix, with 3D models that seemed to be more detailed than on Cupix. Detu’s representative explained that the app is intended for interior designers, who will be able to use Max to generate 3D models of a location and place virtual furniture in it. If it works as advertised, it does seem like a useful feature. UPDATE: Detu’s CEO says the 3D modeling capability will be from a different Matterport-like camera that they’re working on. I met with Detu’s CEO and staff to spend a couple of hours shooting with the Max. I also later got to borrow a prototype of the Detu Max. The Max is a bit wider than other professional 360 cameras such as the Insta360 Pro or GoPro Omni. However, it feels lighter than it looks, and the exterior is mostly plastic. The battery cover feels a bit loose but that could be because it’s a prototype. You need to use two SD cards for the Detu Max. One SD card holds the videos and photos for the left eye and vice-versa. 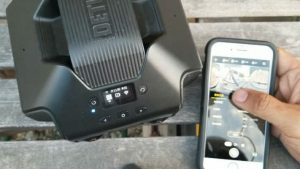 I suggested to Detu to allow users to use just one SD card to record 2D 360 photos and videos and they said they would consider it. The startup doesn’t take too long — around 20 seconds. When you turn it on, the fan also activates. The fan is much more quiet than the fan in the Insta360 Pro. The on-camera buttons and menu are very simple and intuitive. There’s a power button, a back button, left and right for the menu, and a shutter that is also the “enter” button for menus. It’s very easy to shoot with the Detu Max, but the on-camera menu has limited options. For example, you cannot change the resolution. To change the resolution and other settings, you’ll need the mobile app. As of this time, only the iOS version was available for testing. There are two wireless modes: a direct connection from the camera to the phone, or a Wireless LAN mode where the camera and phone are both connected to the same network. I was able to try the direct mode: From your smartphone’s Wi-Fi, you can connect to the camera’s Wi-Fi signal. The default password is 12345678. After the Wi-Fi is connected, you can launch the app. With the prototype, I could get a live preview in 2D mode but not in 3D mode (I assume this will be fixed). When I was able to get a live preview, I saw it was a fully stitched 360 view at around 10fps. There are various projections such as flat, rectlinear, fisheye, crystal ball, tiny planet. I’ll post a video showing the functions currently available, as well as the stitching worklow. I will also post a comparison with Insta360 Pro and GoPro Omni. The stitching software is not yet available so this could take a while. Here are sample photos in 2D 360 provided by Detu, showing excellent detail and dynamic range, and natural colors. Here is a sample video by Guy Rotenburg, stitched with a custom template on Mistika. Last week, I invited readers of 360 Rumors to submit their questions about the Detu Max in advance of a meeting with Detu’s CEO. Here are the answers to your questions! Sensor size / low light capability? What sensors does it use? Sensor is 1/2.3 inch Sony IMX477 Exmor (BSI CMOS). Given that the sensor is BSI, it should have good low light capability for its size. I will test. At what resolution does it support raw mode? How many stops for raw mode? Detu Max can shoot in Adobe DNG Raw at up to 12K resolution. Re dynamic range, I will test. What is the interocular distance and the minimum proximity for stereoscopic stitching? Are you utilizing optical flow? Yes it uses optical flow stitching. The IPD is approximately 63.5mm. The minimum stitching distance for the corners of the camera is 1.5 meters. For the cardinal directions, it is 1.1 inch. See my upcoming test video. What’s the difference from Detu MaxMobile? What is the price difference? MaxMobile is identical except that it has a 4G dongle to enable wireless live streaming. Detu will make the 4G dongle available for backers of the Max. MaxMobile MSRP is $3799 ($100 more than Detu Max, which is $3699). With no antenna, how far can it go? The maximum wireless distance is supposedly 50 meters if unobstructed. What are the ears between each stereo pair? Fan intake. It is also a way to access the interior of the camera for repairs. Can it avoid heat buildup without a fan? It does have a fan. Is there stabilization? How will their stabilization compare to the Insta360 Pro 2? Yes it has stabilization but please note that the firmware update to add stabilization won’t be available until October. Detu said the stabilization of the Max will be similar to the Insta360 Pro first generation. It will not be as good as the stabilization of Pro 2. You can use it with a gimbal. Can it stream AND record simultaneously? They might add this feature in the future. What’s the word on GPS? It will have built-in GPS capability. Are you working on Google street view certification? Yes, it will be street view certified, although not at launch. It is not yet sure if it is for videos as well, or just photos. Their CEO said 3D modeling is a feature of another camera, not the Detu Max. The other camera will be a scanning camera similar to Matterport. How is the audio quality? Will external microphones be available? It has 4 microphones and can do spatial audio. I’ll test audio quality. It has a 3.5mm mic input jack. They said it can record 45 minutes continuously. Is it suitable for less normal use: dirt, dust, water? No it is not designed for rough use. It is not waterproof. In the future, Detu may release an accessory to make it more water resistant but this will cover the fan exhaust. How easy is the workflow while shooting (wi-fi connected to iPad)? TBA. I will post a video. What are the main features of the app? Are there differences between iOS and Android? You will get a live preview, switch modes, control exposure. Please note the app I tried is still an early version. Only an iOS version was available for testing. 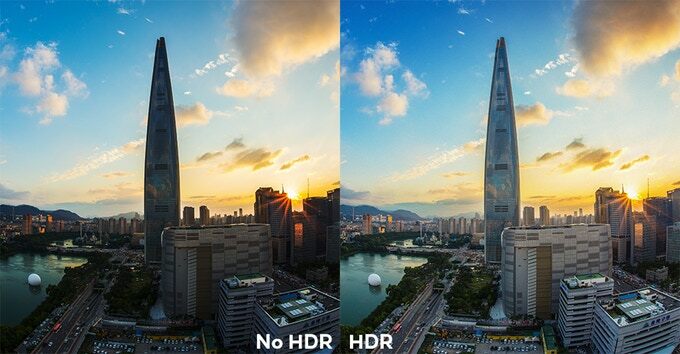 What are the options for HDR photos? Can it shoot bracketed exposures? Currently, HDR is sensor-based (the shadows are lifted in processing). There is no bracketing feature or multi-shot HDR yet, but I requested them to add it. They said they’ll consider it. Could you please record yourself walking around the camera? Yes, standby for the test video. Compare Premiere Pro workflow with Insta360 Pro 2? Detu Max doesn’t have a Premiere plugin. Just edit like regular 3D 360 videos. Does it require a long post processing for 360 photos? Does it support both Mac and PC? Are the lenses matched to avoid color shifts? Are there sample photos available to download? Kickstarter says shipping in Setpmber? Detu Max will begin shipping to Kickstarter backers beginning the last week of September through October. Will it require monthly subscription? Is there any advantage to using their tripod? Their tripod has a compact base, and is quite light (carbon fiber). The legs fold up into the body to make it easy to carry. On the downside, if fully extended, it is not super stable and can sway. As predicted, Detu Max plans to undercut its competitors. It is priced very aggressively, and will retail at $3599, $100 more than the Insta360 Pro (reviewed here), which can only do 6K 3D 360. Other competing cameras include the Insta360 Pro 2 with 8K 3D 360 at $5,000, Kandao Obsidian R, also 8K 3D 360 at $6999, and the Z-Cam V1 (7K 3D 360 at $8880). With respect to its AI capability, it would also be competing indirectly with Pilot Era which also uses AI. Detu Max will begin shipping to Kickstarter backers beginning the last week of September through October. The official webpage for Detu Max is here. All other 3D 360 cameras (that I know of) combine images from lenses that are equidistant in order to get the required parallax. Of course, there is also the minimalist approach of “TwoEyes VR” where only two VR 180 twin lens cameras are combined to cover 360 degrees. Not sure how all these different approaches affect the final result. F4plus photo ist retouched. Look at image 5 in the F4 Plus review. Yes, as I said, the MAX has no released photos yet. I was just using the f4 plus as an example of the seamless nadir. Any word on crowdfunding yet? They were suppose to have it on Kickstarter by the end of May. Hasn’t happened yet. I’ve subscribed to their mail list and should get word when it goes live. Best for you is to do the same. The Kickstarter will start at the 13th of June. I would be very curious to see how it compares to the Vuze in terms of IQ but especially in terms of stitching. Thank you Francois, very interested to see sample clips myself. Would love to see a 3D model also, this really caught my attention. You mentioned Z CAM V1 near the end of the article, but you incorrectly call it the V1 Pro (yes, that can be confusing, but… :). Hi Gary, no I meant V1 not V1 Pro. 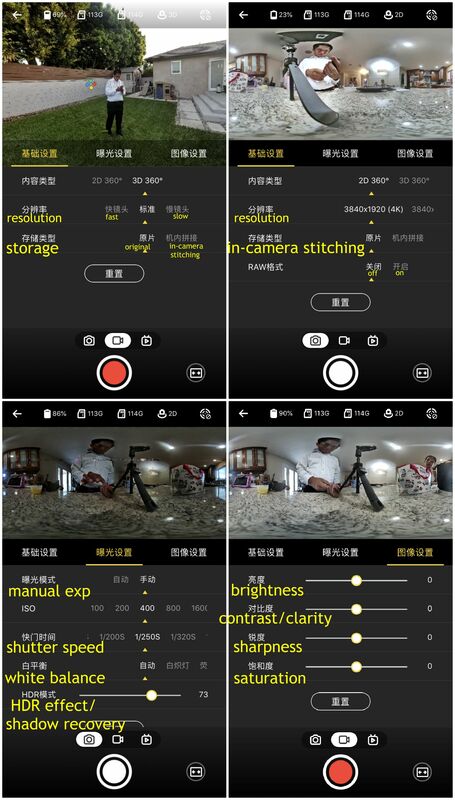 See here: http://360rumors.com/2018/04/z-cam-v1.html V1 is 8880. V1 Pro is around $40,000. I think it was a bad move for them to give their products such similar names, but oh well…. will love to see how usable will be for Google Street View (publish directly) if it came with GPS inside to store pics or video coordinates, if it will be dust/rain proof, etc. I am not sure why you said from the video the stitching seems quite good. I can see the misaligned stitching on the boxing ring fence and the stitching problem extends beyond that to even the mirror further in the background. So I am not sure how it will even be able to stitch objects that are within 1.1 inches away. I mean the high resolution and 3D are great features but with the stitching problem I am hard pressed to find reasons to fork out over 2 grands for this camera. On another note, I would assume there is no build-in stabilisation (with such lens positioning not even sure if it is possible). Could you verify this? Hi Wesley. If you view an object in front of the lens, it’s smooth, even at a short distance. But the issue is the corners, which are not smoothly stitched. I’ve updated the article to specify this. It has built-in stabilization, but I don’t know how effective it is — as you said it seems tricky for this lens configuration. Thanks for the great update! Keep the sample video and still photos coming. We rely on your expertise. Appreciate your advise. I’m considering backing this camera on indigogo, but also considering the Obsidian Go, price is roughly the same with the current campaign. Which of the 2 would you opt for and why? It all depends how close you plan to shoot. 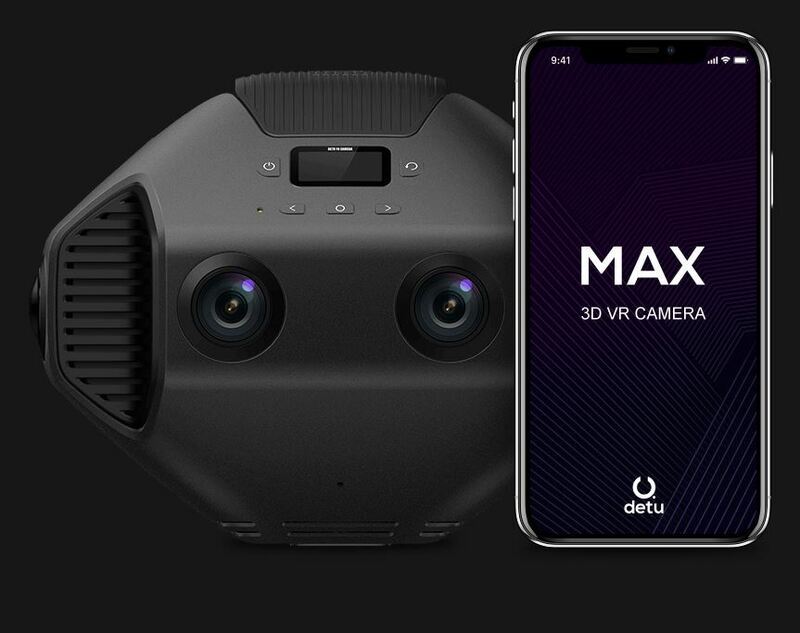 As you may have noticed, even though both cameras can shoot 3D 360, the Go has equidistant lenses each pointing in a different direction while the Detu Max has sets of stereo lenses pointing in four directions. Having pairs of lenses next to one another, pointing in the same direction allows your subject to come very close to the camera without stitching problems – so long as they are positioned in front of a pair of lenses. On the other hand, this configuration makes seamless stitching of the 360 image more challenging. You really need to compare sample clips taken with each camera to decide which you favor and also figure out how close to the camera your subjects will be on average. Hm, photo examples from first owners are awful. https://www.facebook.com/groups/detumax/.